Meet the organizers and sponsors of Russian Festival Matryoshka 2007 in this TV show that aired on HTB Canada. Video courtesy of HTB Canada. Meet the organizers and sponsors of Russian Festival Matryoshka 2007 in this TV show that aired on RussianWaves. Video courtesy of Tokmakov TV Productions. Grand opening of Gizia Boutique in Vaughan. Gizia Boutique is the official fashion designer of the Miss Matryoshka 2007 beauty pageant. RTVi is available on Bell ExpressVu, Channel 722. To Subscribe, call 1-888-759-3474. RTVi on Rogers Cable, Channel 636. To Subscribe, call 1-888-764-3771. Subscribe to RTVi and get RTV+ for $5 less! Video courtesy of Ethnic Channels Group. Grand opening of Gizia Boutique in Vaughan, as covered on the TV show, "I Love Shopping". Gizia Boutique is the official fashion designer of the Miss Matryoshka 2007 beauty pageant. Performance by Jazz Music Studio Jazz by art director Efim Pustilnik at Russian Festival Matryoshka 2007. 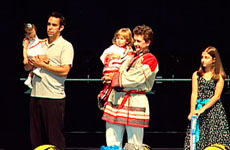 Awarding ceremony of Most Adorable Kid at Russian Festival Matryoshka 2007. 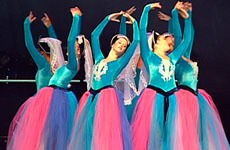 Performance by the Bayview School of Ballet at Russian Festival Matryoshka 2007. Performance by Vladimir Humenchuk and Natalya Melnyk at Russian Festival Matryoshka 2007. 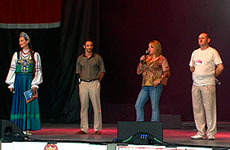 Greetings and introductions by the special guests at Russian Festival Matryoshka 2007. Performance by Fairyland Theatre at Russian Festival Matryoshka 2007. Introductions and cocktail party portion of Miss Matryoshka at Russian Festival Matryoshka 2007. Fantasy portion of Miss Matrysohka at Russian Festival Matryoshka 2007. Bikini portion of Miss Matrysohka at Russian Festival Matryoshka 2007. Performance by Angela Buchko, Mikhail Raikin and Elena Lanskaia at Russian Festival Matryoshka 2007. 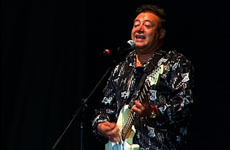 Performance by Avraam Russo at Russian Festival Matryoshka 2007. Miss Matrysohka coronation and awarding ceremony, and final song by Avraam Russo at Russian Festival Matryoshka 2007.